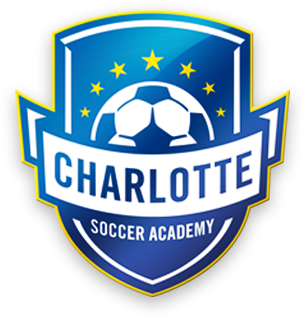 The Directors and Board of Charlotte Soccer Academy are proud to announce that the club will enter the Boys Elite Club National League for the 2019-2020 season. We are excited to announce that we will compete in the mid-Atlantic division of the ECNL for the 2019-20 season. The mid-Atlantic division will consist of clubs from North Carolina, South Carolina and Virginia. “We are excited to provide this platform for our players as well as our coaches. The clubs already involved in this league are well established and we all share the same holistic approach to the game. We look forward to this opportunity as a club,” says Steve Magee, CSA ECNL Director. “This is another great platform we want to provide our players based upon our overall mission of being a club that can provide every level of play for our players in the Charlotte community. With the quality of our player pool in all sections of CSA under the US Soccer Development Academy program, we are excited to be able to put some quality teams together to compete on this platform,” states Executive Director Brad Wylde. Please click here for the Boys ECNL Announcement. CSA will hold ECNL ID sessions in the coming weeks for all those players interested in being assessed to make the teams for the 2019-2020 season. Information on the program, including coaching assignments, travel, practice and game locations, fees etc. will be distributed at the ID session and posted on the club’s website. ID sessions will be conducted at locations in the south area of Charlotte as well as the north to accommodate club players competing already on our Elite teams. Prospective players should attend both sessions for their age group! There will be a $35 online registration fee to sign up for the sessions. Please note, this fee will be applied to the 2019-2020 USYS tryouts in May if a player is not selected to CSA’s ECNL teams following the ID sessions. Our goal is to create and form the teams prior to the USYS tryouts in May. Please register at the Boys ECNL webpage and check back often for additional program details.